Are you are serious about the level of protection that your family deserves? 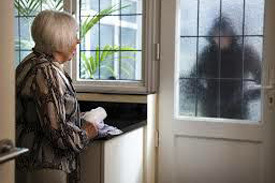 Today people are just not as security conscious as they once were or they have come to believe that the two door and one motion detector systems offered by national companies are actually adequate to protect your family and your valuables. We do not practice that philosophy nor do we compete with those types of operations. Plain and simple these systems for the most part are only providing a false sense of security. If you are serious about the level of protection that your family and property deserve, then please inquire about our services. Because we specialize in the Healthcare, Financial and Government sectors of the security industry, we have installed many dozens of systems in the homes of executives and government officials and it is usually because of an executive protection program. We answer our own phones. We don’t use an automated phone system and since we don’t have voice mail, you can be assured of talking to a real person who is actually working here. For after-hours calls, all are answered by our Central Station where your alarm is actually monitored. We have trained technicians available 24/7 and they can assist you, many issues can be resolved right over the phone. If you need to have a technician visit your home, they can usually be there with 24 to 48 hours. The companies that specialize in the above type of systems usually average in the area of 7 to 10 days which is forever if your system needs service. We have our own two-way radio network that does not rely on the national phone or cellular providers and most of our systems use multiple means of communications to the Central Station. This allows you to eliminate your home phone line if you choose. We use only quality, time-proven equipment from top quality manufacturers that demonstrate the least amount of in-service issues. Our technicians are courteous and well trained.